Azerbaijan is home to one of the most cultured and bravest races in Iran, the Azaris. You will be impressed by the profundity and richness of Azeri culture, language, music, dance and literature. 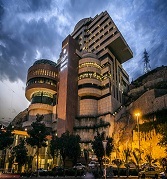 Lots of sightseeing here catches the eyes of visitors such as the former Shah Goli or the present Eil Goli (the Shah's pool) which is the name of a large park in Tabriz. It seems that it was used as a water resource for agricultural purposes. It was used as a summer palace during the Qadjar dynasty (when Tabriz was the official residence of Prince of Iran). Then we’ll visit the exotic bazaar which is one of the oldest bazzars of the Middle East and the largest covered traditional bazaar in the world. It was inscribed as World Heritage Site by UNESCO in July 2010. 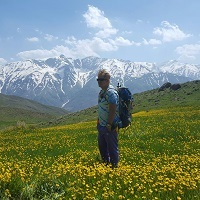 Today’s excursion includes the historical border city of Julfa which is located near the Aras River and the fascinating forests of Arasbaran. Julfa is the stronghold of the Armenian Christians who possess a rich and unique culture of their own. We will visit the ancient churches there. The St. Stepanos Monastery (Maghartavank) is an Armenian monastery about 15 km northwest of Jolfa city, East Azarbaijan Province northeast Iran. It is situated in a deep canyon along the Aras River on the Iranian side of the border between Azerbaijan and Iran. It was built in the 9th century and was rebuilt in the Safavid era after several earthquakes damaged it. Julfa also has a nice waterfall. 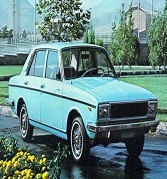 Then drive back to Tabriz and take the train to Zanjan. We’ll drive 298 km to Takab, The famous historical complex Takht-e-Soleiman is situated to the North-East of the city. Takht-e-Soleiman was one of Takab's oldest Zoroastrian fire temples during the Sassanid Dynasty. Afterwards, move to visit the majesty of Soltanieh Dome (Gonbad Soltanieh). 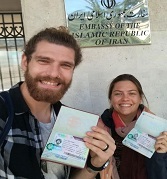 Afterwards we’ll take a train to Qazvin and stay overnight in Qazvin. The city today known as Qazvin is thought to be founded by Shapur II, King of Persia in 250 CE. Archeological findings in the Qazvin plain reveal urban agricultural settlements for at least nine millennia. Qazvin contains several archeological excavations being done. And in the middle of the city lie the ruins of Meimoon Ghal'eh, one of several Sassanid edifices in the area. You can visit this place. Today’s tour includes visiting Shahroud, a city in Semnan province. In 2006, traces of a prehistoric, 8,000-year-old settlement were found in Shahroud. The discoveries included craft workshops and other evidence of settlements. Shahroud is a city bordered by desert (Dasht-e-Kavir), mountains (Alborz Mountain range), and forest (Abr Forest). You can see the most beautiful perspectives of Dasht-e-Kavir from the south part of this city. There you will visit Dasht-e-Kavir and the Shah Kuh and Sah Var Mountains, which are part of the Alborz Mountain range. At 17:25 we will take a train to Neishabour. Today’s tour starts with visiting Neishabour. Neishabour is the city where the tomb of Hakim Omar Khayyam-e Neishabouri who was the mathematician, astrologer, philosopher and poet of the 11th century AD is located. He is a magnanimous who made that city universal. Also we will visit the tomb of Attar, a famous mystic poet of Iran. Pay a visit to the tomb of Kamal-Al-Molk, the great painter of the contemporary period. At 21:15 we will take a train to Mashhad. Mashhad is a city where the Shiite Imam Reza was martyred and thus is an important site for Shiite Muslim Pilgrims. This huge complex is the first holy shrine in Iran. we will enjoy a full day city tour in Mashhad (Imam Reza Holy Shrine, Ferdosi Tomb, Nader Shah Museum). After visiting the holy shrine we will head to Tus to visit the tomb of Ferdosi, the great epic poet of 10th AD century. Ferdosi has written Shahnameh (literally "Letter of King"), the great epic in which the stories of Rostam and Sohrab are skillfully described. This book is as great as Iliad and Odyssey of Homer in western literature. Today we will visit Harounieh, a nice structure with unknown function in the old times. Again we will have a night visit to the holy shrine of Imam Reza and see the people who are praying in a sacred place. At night we will take a train to Bandar Abbas. Bandar Abbas is one of the main ports of Iran which has special natural and historical attractions. Beside this beautiful port, there is a spa, Geno. This spa has been used for medical purposes so far. It is said that Marco Polo used this spa for curing his skin diseases. Some of the more popular attractions of Bandar Abbas are as below: Emarat-e Kolah Farangi (built by and during the Dutch occupation), Gele-dari traditional Bath, and Various hot water springs. Geshm Island is one of the tourism and ecotourism attractions in Hormozgan province. And it is the only known Geo Park in Iran. This island attracts lots of tourist annually due to its natural and historical attractions. Among the attraction, we can mention the Water Hara Jungles, Kharbas Caves, the Turtles coast, Chah Kouh Strait, Portuguese Castel, and the British Cemetry. Beside these sites we can also enjoy visiting Minab Thursday bazaar, Hormoz Island with seven color soil, Lark Island with silver sands and Hengam Island. 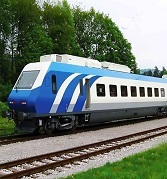 Today we will take a train to Yazd and enjoy the beauties of the way while on the train. Isfahan’s Jame' mosque holds in itself the passage of several centuries of historical Islamic evolution. This mosque is a gallery of Islamic architecture in which the progress of the architecture from the outset of Islam till recent times is evident. Then we will visit Vank Church which is one of the most beautiful Armenian churches in the world and will undoubtedly capture the attention of every Christian. Our day will conclude with a visit to Monar Jomban, the tomb of a Sufi with its shaking minarets and some historical bridges. At 21:25 we will take a train to Shiraz. Bishapour is an ancient city situated south of modern Faliyan, on the ancient road between Persis and Elam. The road linked the Sassanid capitals Istakhr (very close to Persepolis) and Ctesiphon. At night we arrive in Ahvaz and transfer to hotel. Shushtar is our next step, the name itself, Shushtar, is connected with the name of another ancient city, Susa, and means "greater (or better) than Shush". During the Sassanian era, it was an island city on the Karun River and selected to become the winter capital. Then, visit the charming Shooshtar waterfalls and historical bridges. 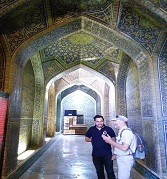 Day 22: Train from Ahvaz to Tehran at 11:10 a.m.
A morning visit to Sa'ad Abad Complex with an immense area of 1,100,000 square meters and 18 magnificent historical palaces (2 of which we will visit). This palace was built by Pahlavi dynasty and it will undoubtedly leave a lasting impression on us. And our Tehran excursion will end at the Ceramic Museum where we will be able to witness its construction with glorious ancient archaeology.